I’ve reviewed a lot of iClever’s accessories, including wireless earbuds, charger or Bluetooth keyboard, and I quite love those products. The BoostSound BTS-04 is just my first portable speaker from this brand and its price is affordable for most people, is it any good? The BoostSound BTS-04 really impressed me as a budget wireless speaker. I didn’t expect a metal casing with IPX5 water-resistant rating and such a portable design. This is the kind of speaker that can follow you anywhere because of the rugged exterior and it can easily fit into our pant pocket. 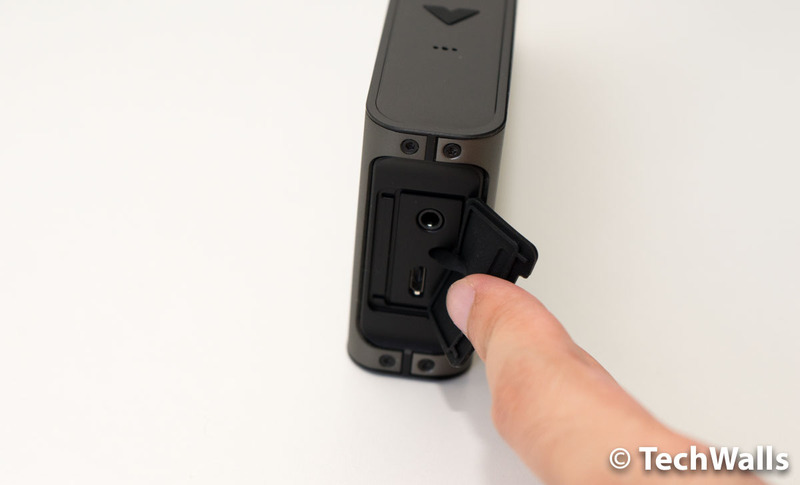 The speaker comes with just a microUSB charging cable and an auxiliary cable inside the box. There are no other redundant accessories like I’m seeing on expensive speakers. I appreciate the simplicity because it will cut the costs and provide a better value. The build quality of the iClever speaker is pretty good. The pattern on the front grille looks attractive with holes at different sizes and iClever logo at the center. The connections are placed on the right side and they are protected by a rubber flap. On the top, you can find all the control buttons, including Power button, Play/Pause, Bluetooth/Phone Call, Previous, Next, and a microphone hole. I don’t really like the way iClever uses Prev/Next buttons for volume control. You can press once to change tracks and press longer to change the volume level. This is inconvenient when you want to fine-tune the volume. The contrary would be much better. The battery life is rated at 10 hours of playback. This is good enough for most average consumers. I often use the speaker for less than 1 hour per day, so I don’t need to charge it for a couple of weeks. This is not the speaker that could make your jaw drop, however, it is pretty good for the size and price. You can check out the sound test in the video below. 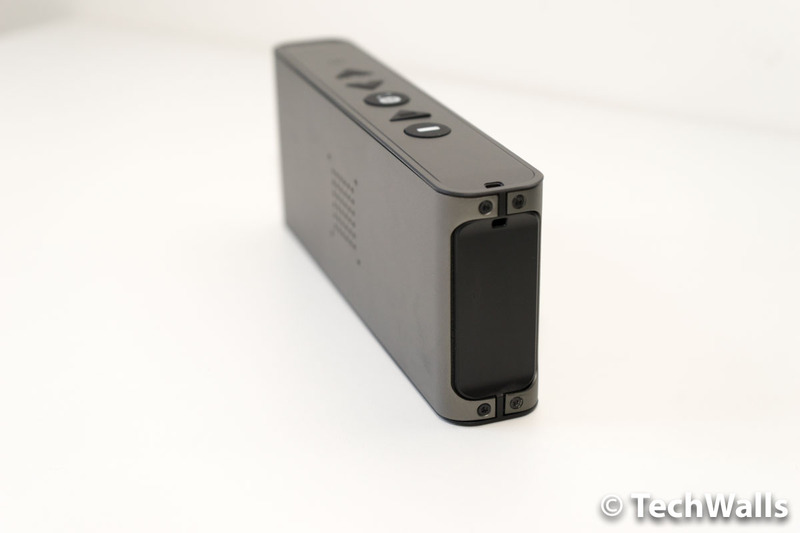 The iClever speaker is equipped with two 5W drivers and there seems to be a passive radiator on the back as well. That explains why it could produce a pretty good bass. Although this is not the deep and tight bass, you absolutely can feel the warmth of the sound with the boost in low-mids. The bass sounds even better when you place the speaker near a wall. The mids are quite present, so you will be able to hear the vocals and voices clearly. And there is no distortion at a moderate volume level. The treble is not really bright but this is not really important for this portable speaker. I find that the overall sound is well-balanced and pleasant for my ears. The only downside is that the speaker is not loud enough to use outdoors. Even when I use it in my room, I often to turn the volume up to nearly maximum. Therefore, the sound might become tiny when you use it on the beach, except when you place it close to your ears. 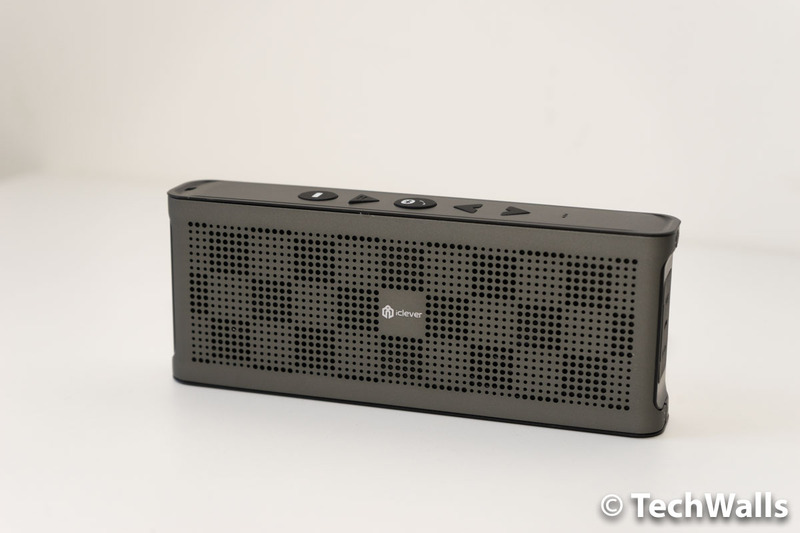 All in all, the iClever BoostSound BTS-04 is a very capable Bluetooth speaker in a portable design and with a very affordable price tag. We totally recommend the speaker. 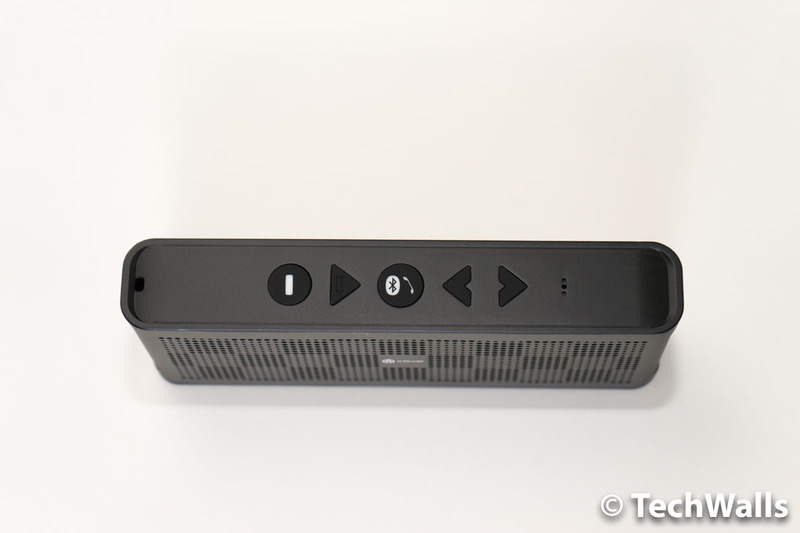 A very good budget wireless speaker. The build Quality is Superb, they are wireless & also a speaker being waterproof its a bonus. In my opinion, one of the pros could be its small dimensions. Although is not a powerful speaker, its great price, good sound and solid construction makes it a worth investment.